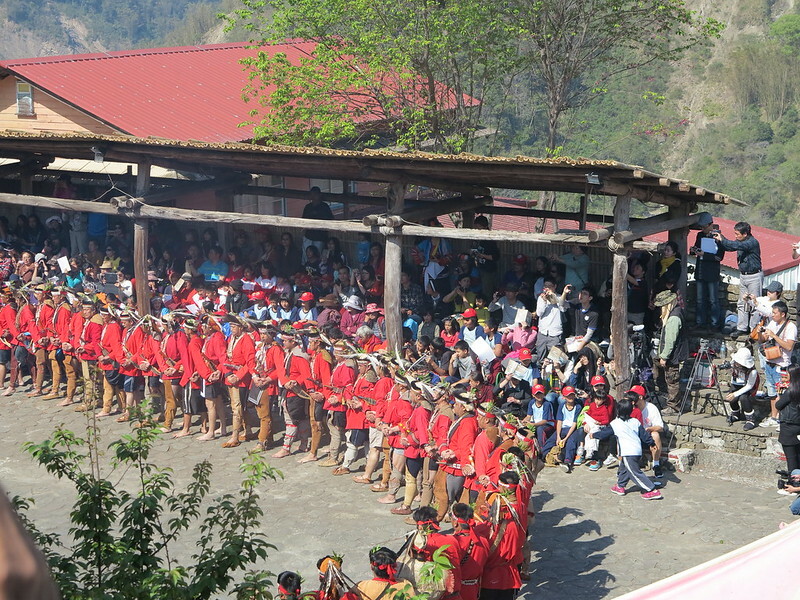 During the first weekend in March, I visited Tefuye Village (Tfuya in Tsou language) in Alishan Township to watch the Mayasvi (Warring Ceremony) of the Tsou people. 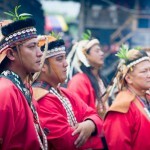 The indigenous people is mainly distributed among eight communities in Alishan Township of Chiayi County. Although this was my fifth time to witness the ceremony, I have not yet seen it in its entirety, as it takes place over two days and nights. Two women carry torches to light a fire outside the kuba, which symbolizes that the success of the warriors depends on the support of the women. On the morning of the first day, the males of the tribe assemble in the kuba. Kuba refers to a men’s meeting hall. This is traditionally where the elders of the people met to make decisions regarding village affairs and where the young males received training in warring skills and the history and legends of the people. 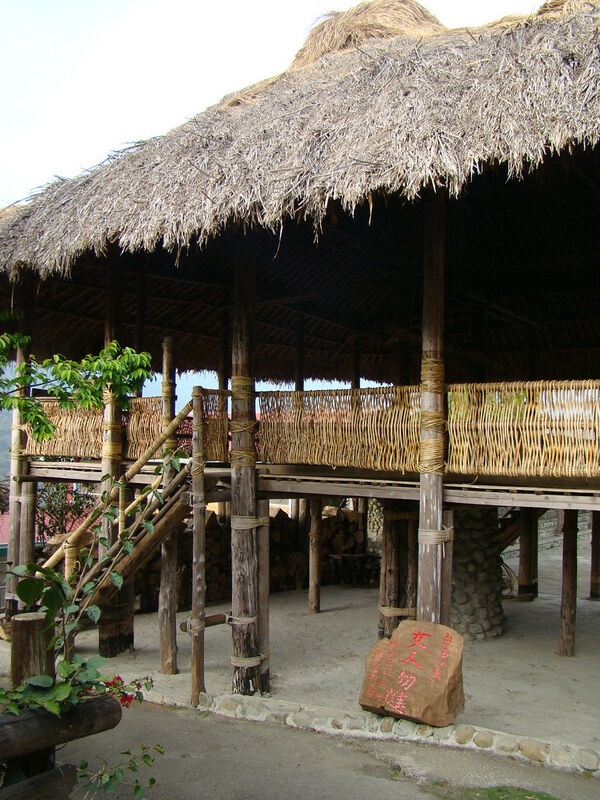 As its name suggests, women are not allowed inside the kuba. They can use a set of stairs at the back of the structure to bring food and drink, but cannot enter beyond a certain point. 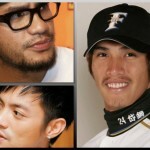 In addition, if not of the Tsou people, males should not enter unless invited to do so. 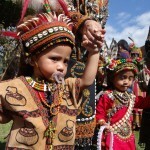 If not of the Tsou people, males should not enter the kuba. 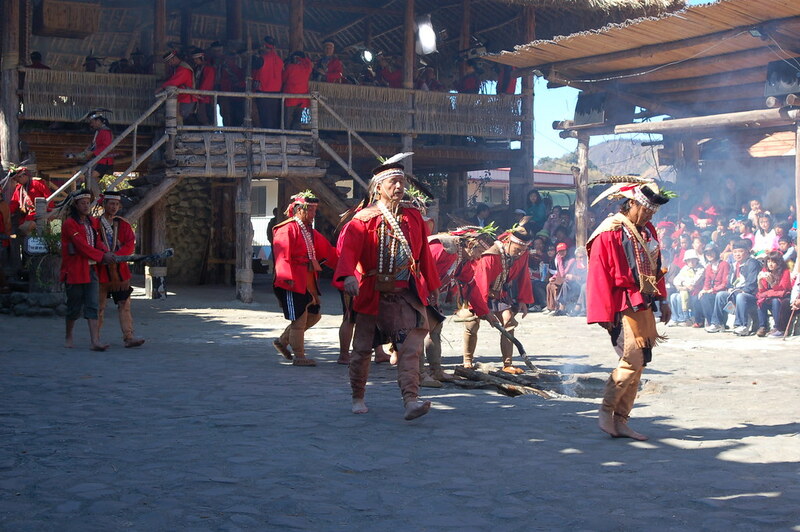 On the morning of the first day, the males of the tribe assemble in the kuba. 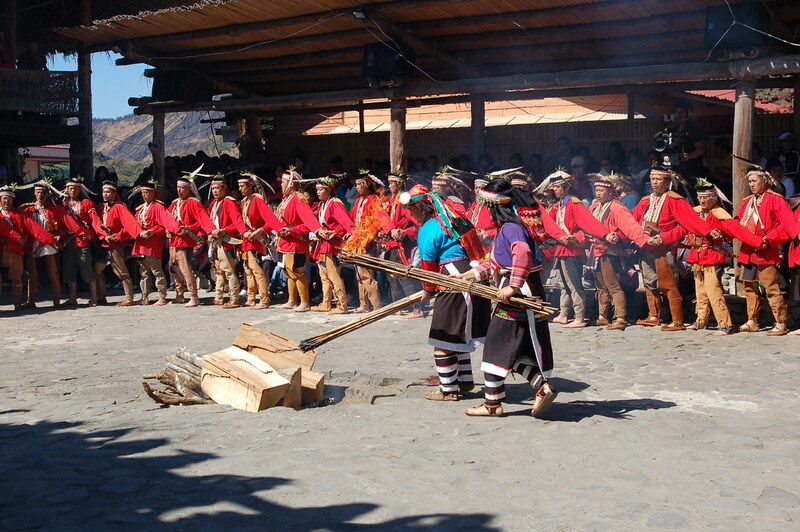 Currently, the Mayasvi is held once or twice per year, usually to mark the renovation of the kuba. This is because the kuba is constructed of natural materials such as wood, bamboo and thatch and thus requires constant upkeep. In the past, the ceremony was held often to mark important events, such as going into battle or building a house. It starts with the sacrificing of a piglet next to a sacred banyan tree. Then, two of the men climb into the tree and prune its branches to create a ladder for the tribal deities to come down from the heavens. Following this, the males return to the kuba for a series of rites and ceremonies including the blessing of newborn male infants and coming-of-age rites for young adult males. 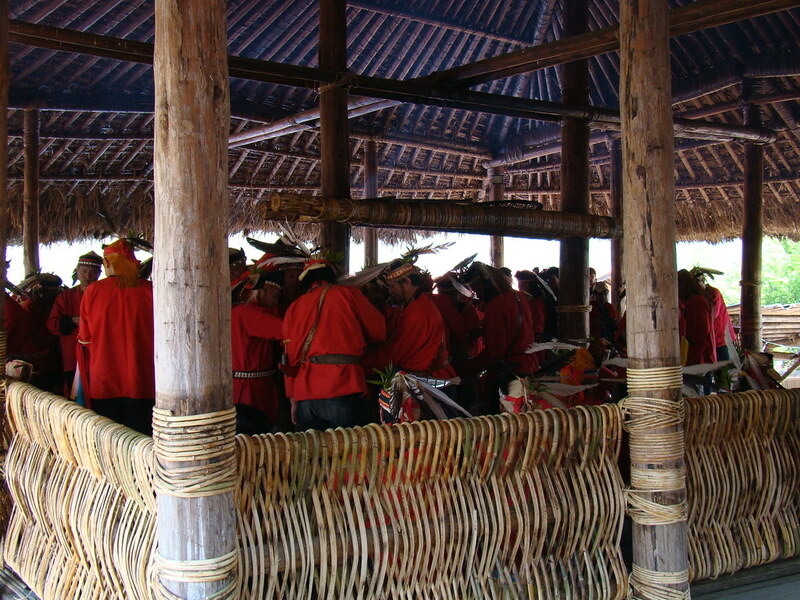 During this time, several warriors run out from the kuba to the houses in the village collecting offerings of sticky rice, pork and millet wine to bring back to the kuba. 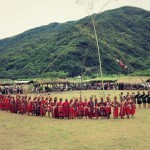 The men then form a circle outside the kuba and sing traditional Tsou songs. Two women carry torches to light a fire outside the kuba, which symbolizes that the success of the warriors depends on the support of the women. 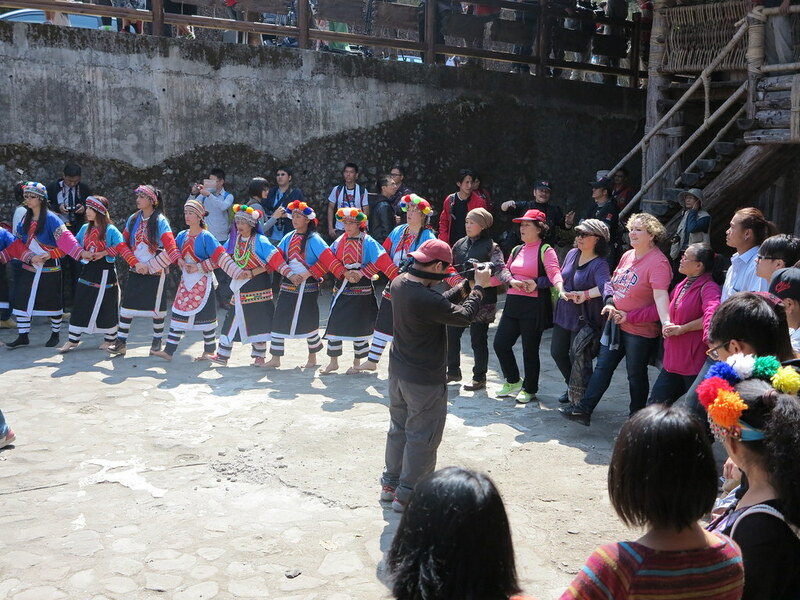 Both men and women then join in the singing outside the kuba and the ceremonies to welcome the tribal deities end with an invitation for all to join the dance circle. 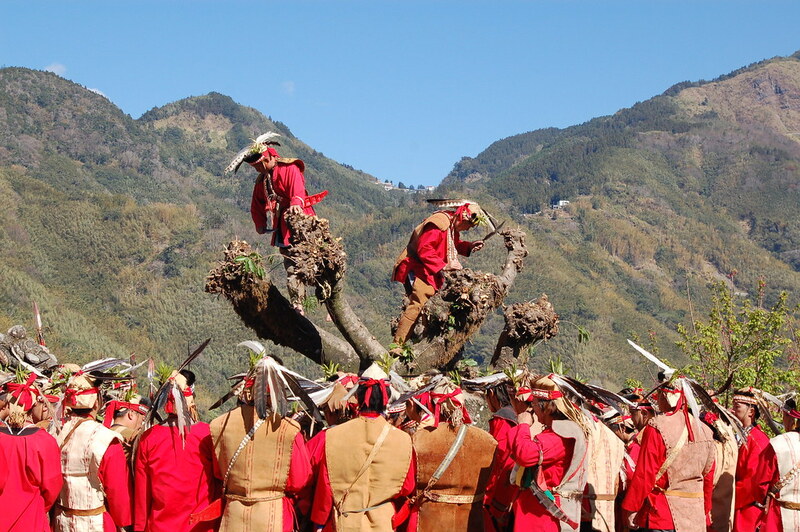 Two of the men climb into the tree and prune its branches to create a ladder for the tribal deities to come down from the heavens. 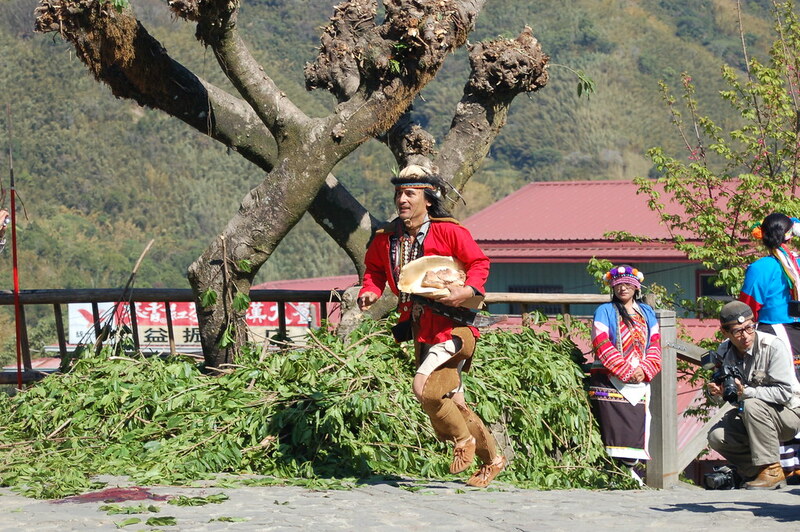 Several warriors run out from the kuba to the houses in the village collecting offerings of sticky rice, pork and millet wine to bring back to the kuba. More Attention to the People: Good or Bad Trend? On the other hand, it is worrisome when tourism clashes with the efforts of the indigenous people to preserve their traditions. Following this, the families of the village enjoy a reunion lunch. 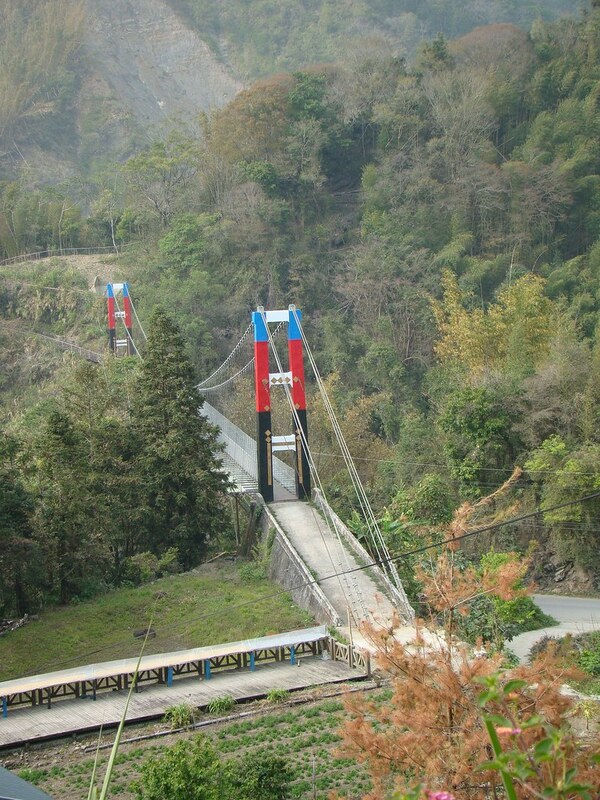 The afternoon is usually quiet and this is a good time to explore the village including its trails that lead to the Dabang Suspension Bridge and to a group of camphor trees. If looking for something less tiring, there is a small cafe which serves Alishan coffee set against the backdrop of majestic mountains. As the afternoon ends and the sun goes down singing of traditional songs begins and a dance circle is formed. This continues on until the sun rises to entertain the tribal deities that have been welcomed into the kuba. The afternoon is usually quiet and this is a good time to explore the village including its trails that lead to the Dabang Suspension Bridge. During this year’s ceremony, I was struck by the dramatic increase in the number of tourists attending the event and wondered if this was a good or bad trend. An argument can be made for both, I suppose. On the one hand, it’s great to see that there is concern among the public regarding the preservation of Tsou culture. On the other hand, it is worrisome when tourism clashes with the efforts of the indigenous people to preserve their traditions. For example, the large number of outsiders joining the dance circle made it difficult for the dancers to stay in step. Traditionally, when entertaining ancestral spirits or tribal deities the higher the quality of the singing and dancing, the more the ancestral spirits and tribal deities will be pleased and likely to be generous with their blessings. Thus, a dance circle that is out of step can be considered inauspicious. Although I have to agree that being part of the dance circle is fun, outsiders should observe the steps before joining in to help keep the circle moving as smoothly as possible. In addition, it is best to enter and leave the circle between songs, so as not to distract the singers. I was struck by the dramatic increase in the number of tourists attending the event and wondered if this was a good or bad trend. A dance circle that is out of step can be considered inauspicious. …… Mutual trust can be built, which makes for meaningful interaction with the people and their culture. 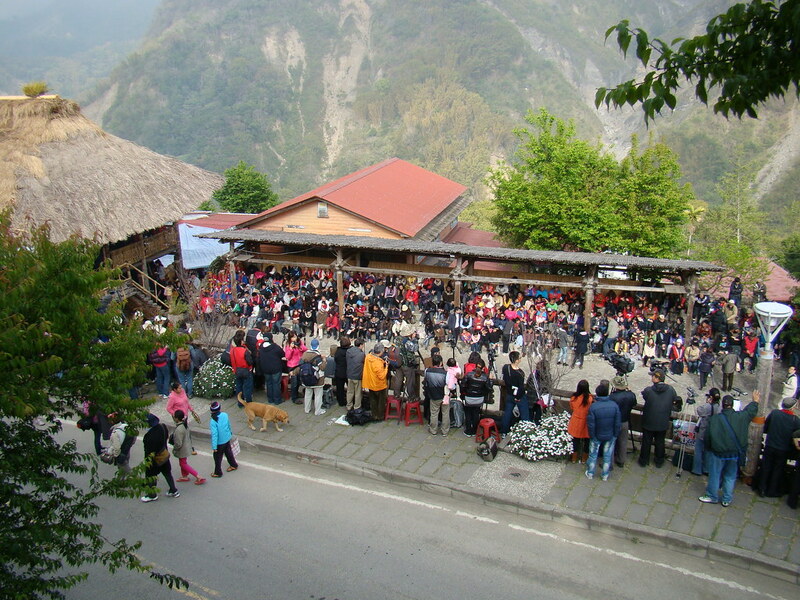 The morning of the second day is a time for the residents to rest, as in the evening, there is again singing of traditional Tsou songs and a dance circle that goes until about midnight, as part of the grand sendoff of the deities back to Heaven. This is the part of the ceremony I have yet to witness. Perhaps I will finally make it all the way to the closing next year. Given the increasing trend in the number of tourists, I’m sure that I will have plenty of company. My best advice to those wanting to see the Mayasvi is to come prepared for a time of respectful enjoyment. Listen to instructions about where to stand or sit and stay away from those areas off-limits to outsiders. And, only join the dance circle when invited or when it is opened up to the public. In this way, mutual trust can be built, which makes for meaningful interaction with the people and their culture. The best advice to those wanting to see the Mayasvi is to come prepared for a time of respectful enjoyment. 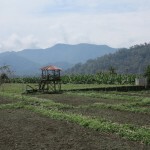 By car: From National Freeway 3, exit at Zhongpu and connect to Provincial Highway 18 (Alishan Highway). Follow this road as it weaves its way into the mountains. Turn right onto County Road 169 toward Leye, Dabang and Tefuye. Continue on this road until it forks, the right fork leading to Dabang and the left fork leading to Tefuye. Take the left fork toward Tefuye. By bus: From Chiayi City, next to the train station, take a Chiayi County bus toward Dabang and get off along County Road 169 at the fork leading to the Tefuye Community. 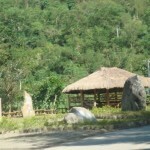 From there, it is about a two-kilometer walk to the community’s entrance.